A dream catcher was a mesh that was artfully constructed by the Native American Culture. This mesh was believed to shoo away bad dreams and let you keep only the good ones. This mesh has been adapted into various tattoo designs that are believed to is quite simply a dream filter. It will keep the bad dreams trapped inside and let the good ones pass freely. 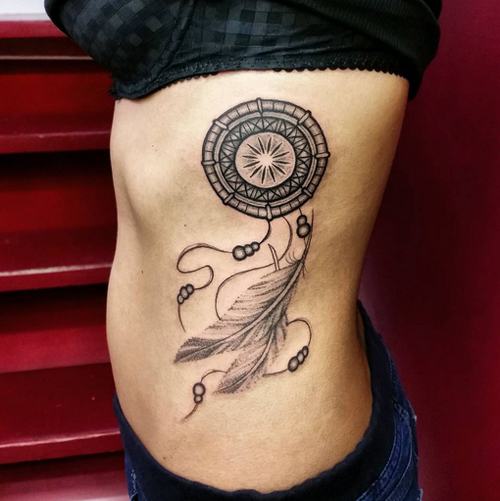 So that means having dream catcher tattoos will help you sleep well, since it will chase away the bad dreams. There are many styles that can be derived from such designs. For example, the feather in the design can be used to symbolize air and breath, both of which are essential for a person to live. Feathers are usually incorporated in it to amuse the newborn, however, they are meant to help the baby drift away into a nice dream. Whenever a feather rustles, it means that the baby is experiencing a good dream. Apart from these symbolisms, the kind of feather depicted in your tattoo can show the meanings you want to achieve. For example, an owl feature is usually recommended for women, for it depicts wisdom and knowledge. For men, the best choice is the Eagle’s feather, because it shows courage and strength. 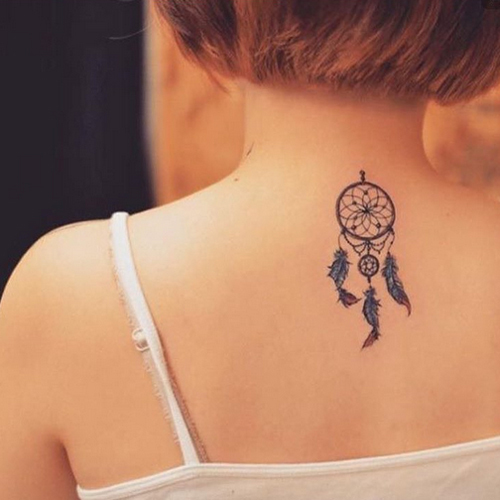 Today, people place the dream catcher tattoos in various places on their bodies. Some of the popular parts to place these tattoos are the upper arm, upper back and the shoulders. Ladies prefer having them as small decorative tattoos on their upper shoulders or necks. Their size and placement makes these tattoos elegant on them.